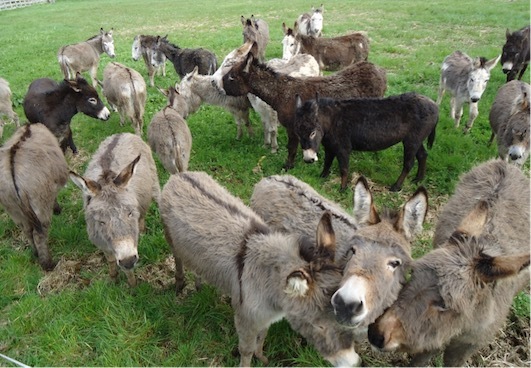 We are struggling to keep the doors open at Donegal Donkey Sanctuary. The cost of vet, feed and farrier bills, along with welfare vehicle, trailer and centre maintenance costs are placing tremendous pressure on financial resources. We have endured a hard winter with an ever increasing numbers of donkeys seeking refuge at our doors. At this point in time closure seems inevitable so we are reaching out for help to SAVE OUR SANCTUARY. 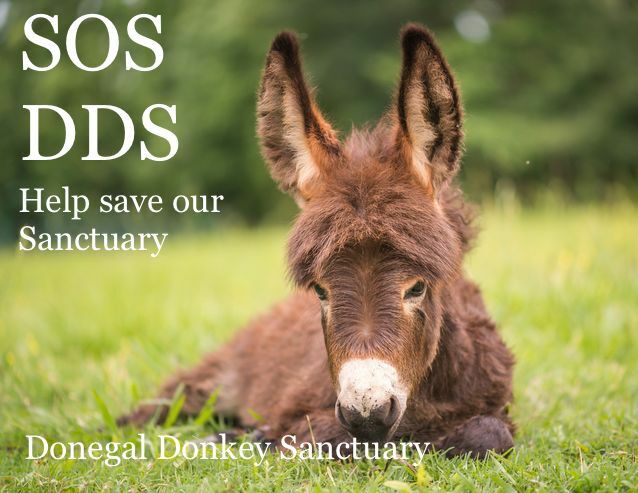 Donegal Donkey Sanctuary is a ‘not for profit’, voluntary organisation. 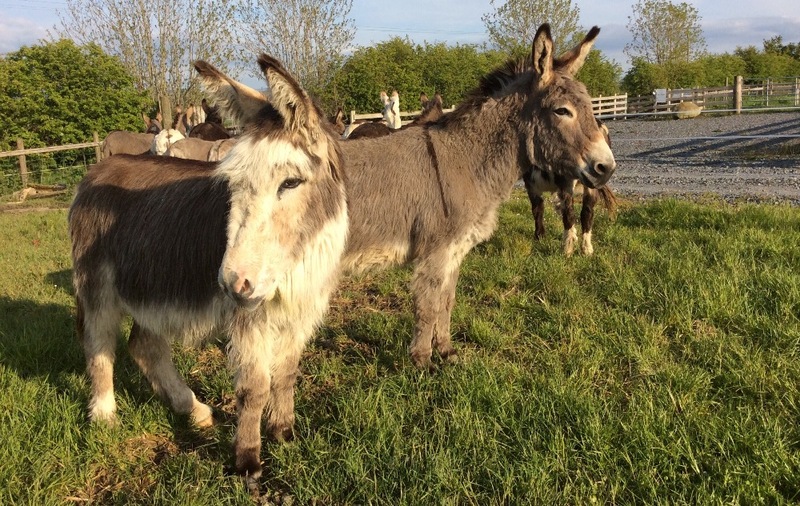 To date we have rehomed over 600 donkeys and currently have over seventy in our care. We operate from a purpose built centre in Castledooey, Donegal, Ireland. Back in 2006 Danny Curran took in his first rescue donkey without knowing where that journey would take him. This abandoned donkey, who was facing being euthanised unless a home could be found, would be the first of many to find comfort and hope in his care. 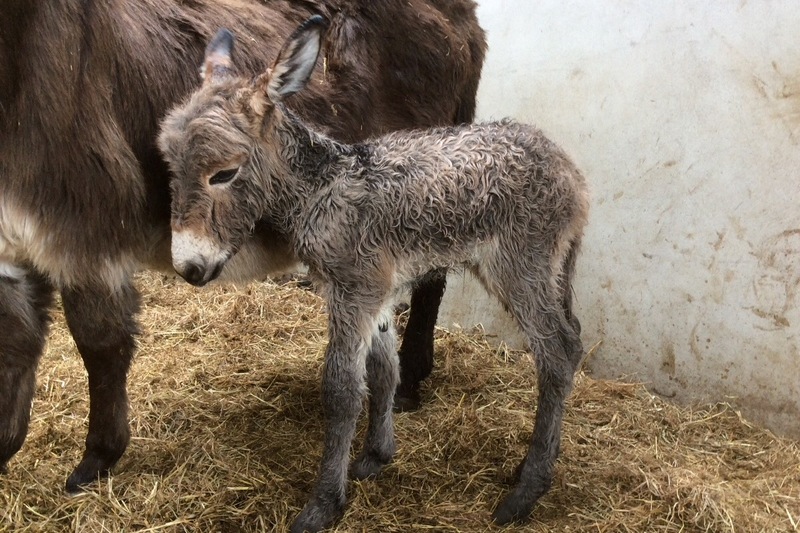 So Donegal Donkey Sanctuary was born. 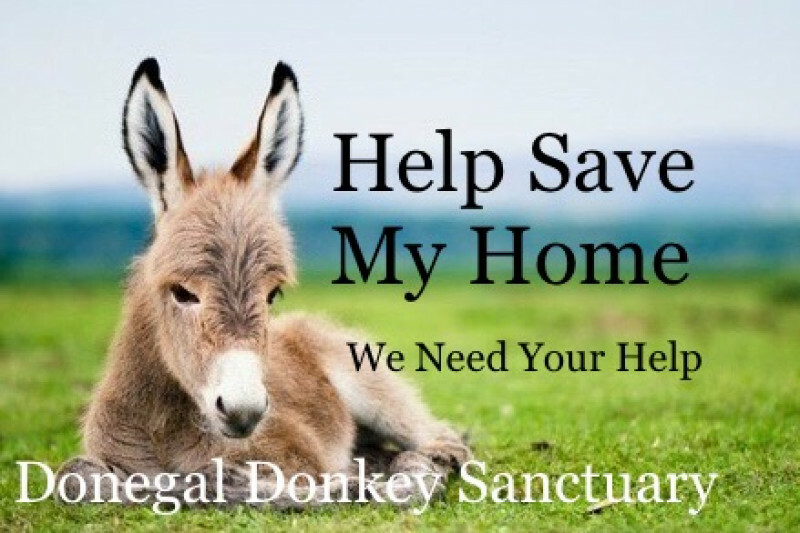 With lots of hard work, long hours and hundreds of rescues later Danny and his team of volunteers now face their biggest battle yet – to SAVE OUR SANCTUARY. 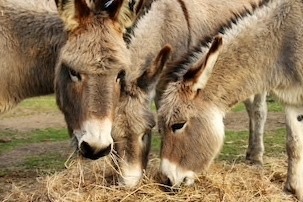 With a record number of donkeys in our care we are concerned to find our winter feed supplies getting dangerously low. Each year we estimate (as best we can) the number of bales needed when grass growth stops outdoors and the feeding of hay/haylage begins. Once again this winter has seen an unprecedented amount of vulnerable souls arrive at our doors in need of shelter, food and the touch of a loving hand. Winter is upon us again and this year brings even greater challenges to the sanctuary than in previous years. The fodder/bedding crisis will have a huge effect on us this year with lots of hungry mouths to feed and provide warm bedding for. Please help us reach our goal and enable us to provide the much needed care that our residents need and deserve. 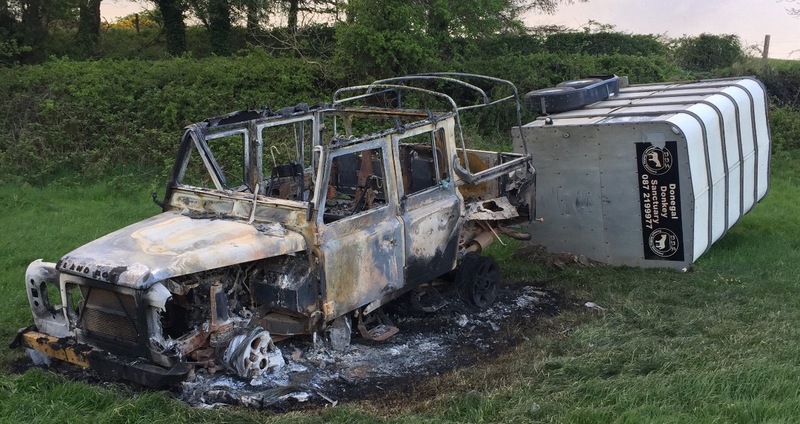 Dear Supporter, We are heartbroken to report that our vehicle and horsebox have been irreparably damaged as a result of a freak accident late Tuesday night. (May 8th) Thankfully there were no donkeys in transit at the time and no-one was injured in the accident. There was no other vehicle involved. Once again we must call upon our loyal supporters to help put our 'donkey ambulance' back on the road. 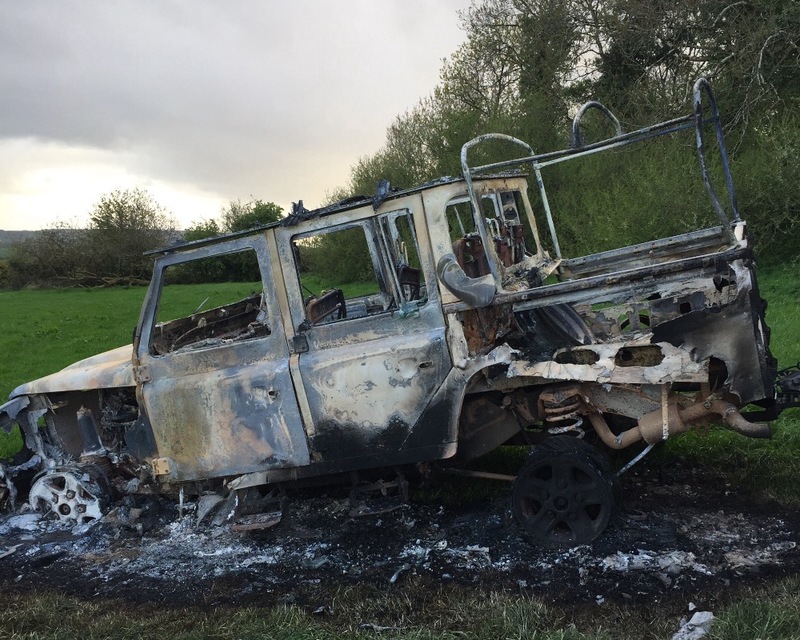 The vehicle was insured but all indications are that payments will fall far short of what is required to replace both & it is crucial that we have a reliable vehicle to answer emergency calls and carry out all aspects of our vital work. 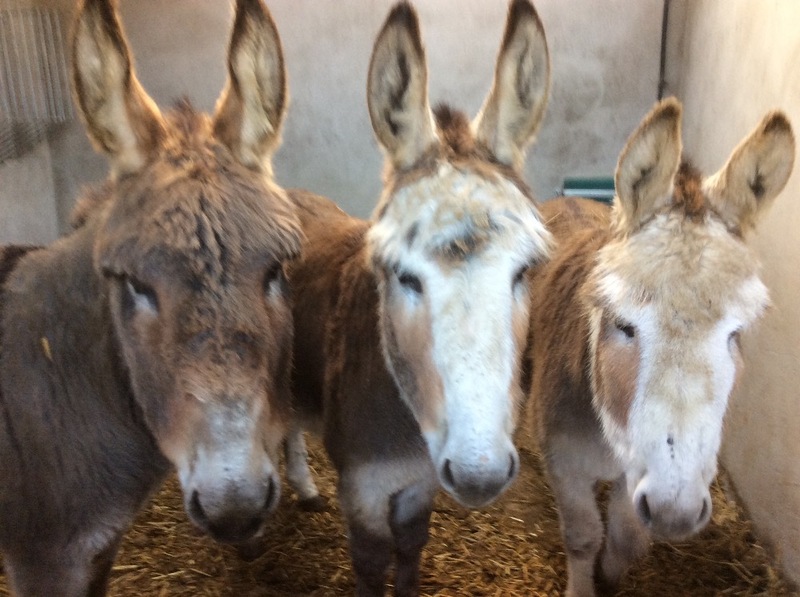 Dear Supporter, It has been a long, hard, cold winter here at the sanctuary and we find ourselves almost at the end of our winter feed supplies. 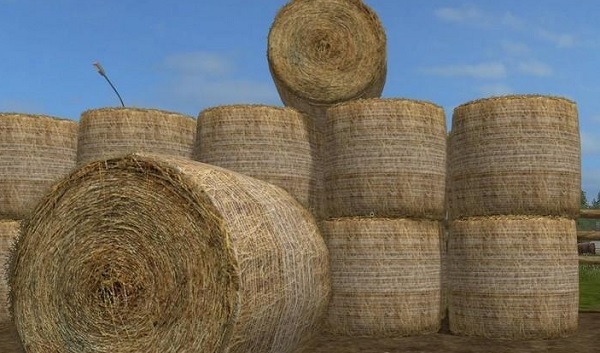 Following last year's disasterous harvest, hay and straw are both scarce and expensive. 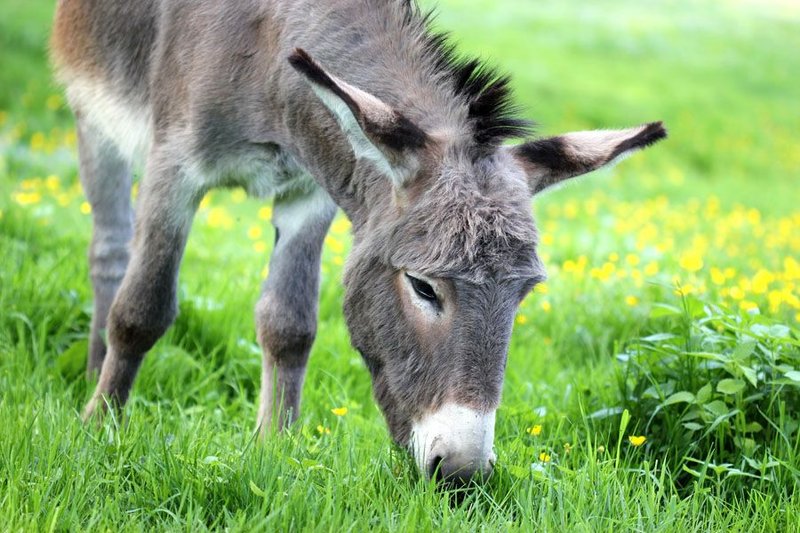 We need your help to keep the donkeys fed until the first grass of Spring emerges in the paddocks. On days like today this feels like a very long way off. Round bales of hay are currently costing from €37/€42 and small square bales €4-50/€5-50. No donation is too small to help us keep our residents warm and happy. Thank you for your continued support. From all at DDS. Hello, Id like to donate monthly but I cant find a link to your facebook page. Also Im going on a UK cycling tour this summer, can I come and visit? 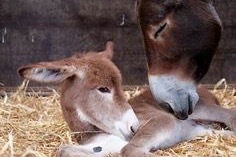 I loves donkeys I do! Yoga boann raised 320 euro at a yoga charity class today. Is there a way to donate from the US? Not sure if go fund me will convert from dollar to the pound. If you donate via Paypal, it will convert any money you send into that country's money. I think most fundraising sites will also do this but just check. Would like to donate but I'm in the US and not sure how to convert from our dollar. Can you tell me if this is doable? Guys I'm not sure if Direct debit work from the US without going through a 3rd party company. If folks overseas want to set up a monthly automated PayPal transaction here is a link on how to do that https://www.paypal.com/cgi-bin/webscr?cmd=_manage-paylist I'm setting one up now and will be happy to answer questions if anyone outside of Ireland has any. Kelli Ashley Jensen, you can use your credit card to make a donation and the amount will be converted. Hi I don't use my card ..I know it's secure and all but would rather send a cheque.can you give me an address and a name to pay to ?thanks grainne. Hello friends!!! Help save the saiga! They are on the verge of extinction !!!! Enter in search: Save-saiga-population . And you will learn about the global problem of saiga!!!!!!!!!!!!!!!!!!!!!!!!! I would like to donate but your site will not let me enter my correct expiration date. Thank you for all you do. I hope to visit one day.